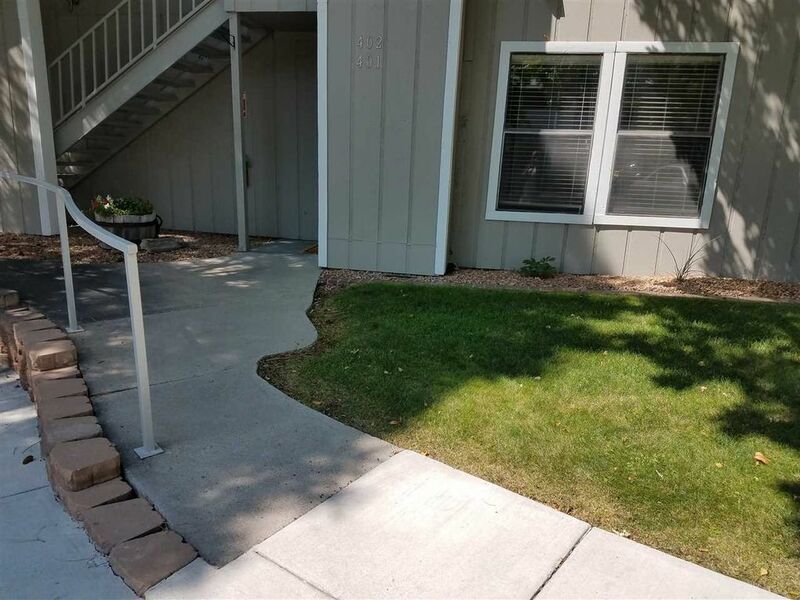 This well cared for ground floor condo is the one you're looking for. Walk into this bright and cheery home, where you'll find an open concept living arrangement. The kitchen opens to the dining area, and has a pass through to the living room to maintain the open feel. A laundry room to the end of the kitchen adds function and convenience. The Living room is large and walks out onto the patio with spacious storage closet. Off the living room you'll find the den that would make a fantastic office, play room or exercise room. Down the hallway, you'll see two large bedrooms and a guest bathroom. The master bedroom has an en-suite bathroom and a huge walk in closet. Located very close to the pool and clubhouse, and in an enviable downtown location. You'll love living near Bathtub Row, restaurants, the pond, the grocery store, and all that living downtown has to offer! Don't miss this fantastic home! Directions: Diamond to Oppenheimer, Right into Ridge Park, building 4 ground floor unit, front door is on the north side of the building.